← New Forest: pony breeding through the ages. Every year inspections are held to select colts and stallions that will sire future New Forest ponies. I attended the annual Stallion Inspections at Beaulieu Road last weekend, to watch the selection process for the colts and stallions that will sire future generations of New Forest pony. The weather was forecast for sunny intervals and, when the sun did reveal itself, was pleasantly warm. On arrival it is of course necessary to queue at the catering wagon for breakfast. This is also the best place to catch up with people and hear the latest news whilst ordering the obligatory coffee and bacon-butty. The air is filled with the noise of the stallions, as they neigh to one another, and the general commotion as horseboxes arrive and more ponies are unloaded. I picked up a Schedule, which has the names of the ponies waiting for inspection and information about their breeding, and walked around the holding pens to view them. Some of the owners wait with their ponies and it is always nice to talk to them and hear something about the character of the animal, as well as assessing their looks. 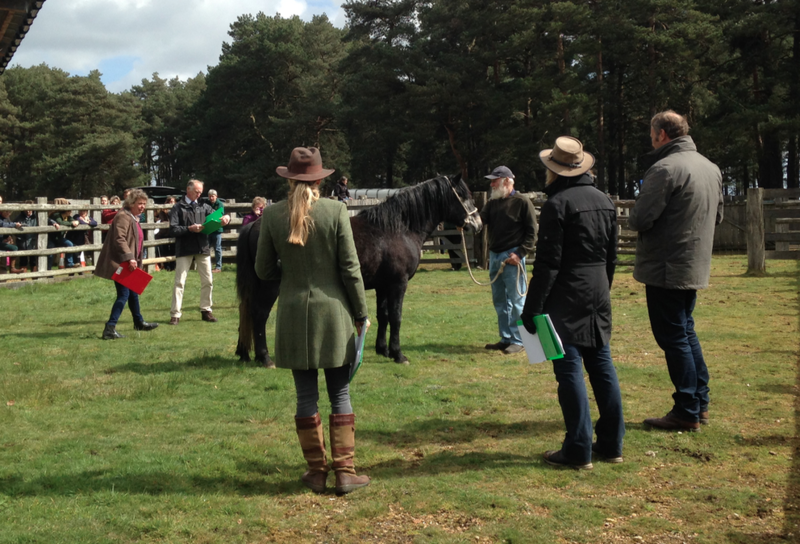 The inspections are carried out by a panel that consists of representatives from the New Forest Pony Breed & Cattle Society, the Verderers of the New Forest, and the New Forest Commoners Defence Association. On this particular day there were three main classes, which were for Forest Colts, Stud Colts, and the Verderers Inspection. The proceedings began with the inspection of the Forest Colts and Stud Colts. These two-year old animals will either be kept for use as stallions in the future or, for those not making the grade, gelded and used for other purposes, such as riding ponies. After an initial standing inspection the colts show off their paces. They are led around the ring by their handlers and then asked to trot on the lead-rein. Once this section is completed they are turned loose where they can move freely around the show ring. Once at liberty the colts canter, prance and cavort about, thereby demonstrating the fluidity of their movement and their physical agility. Some of these ponies will have made a good impression on me, as I viewed them in the holding pens, and this exercise gives me a chance to make an overall judgement. I have my favourites of course but I’m not sure if the official judges share my opinions. After this the Verderers’ Inspection takes place. The ponies in this class were four-year olds that have already been licensed as stallions. They were judged according to their suitability to run on the Open Forest with the free-roaming mares. This year 15 stallions will be released to roam with the mares for four weeks from Monday 9th May until Monday 6th June. The ponies selected at this inspection will go forward into the Stallion Scheme, where they will be amongst a herd of New Forest stallions kept specifically for use on the Open Forest. Ensuring that the quality of the New Forest pony breed is maintained, as well as preserving the diversity of bloodlines, is of paramount concern to the panel of inspectors and all concerned. When is a pony on the New Forest not a New Forest pony? The inspectors are looking for the standard qualities that make the New Forest pony breed, such as sloping shoulders, strong hindquarters, good bone structure, clean straight limbs and round feet. The ponies should be of a working-type, with the look of all-round ability about them. New Forest ponies can be any colour except piebald (black and white), skewbald (brown, black and white), spotted, or cremello, which is a creamy-colour with blue eyes; they must not have white markings anywhere other than on the lower part of their legs or on their faces. There are other types of ponies grazing on the Open Forest, including the coloured gypsy-type and even Shetland ponies, which have often made their way into tourism brochures and websites where they have even been incorrectly described as New Forest ponies. It is a common mistake. Not all ponies on the New Forest are New Forest ponies. But for those advocates of this icon of the New Forest and native breed of British pony, its stamp is unmistakeable. The colts are turned loose to show off their paces – or stand and neigh to their friends! 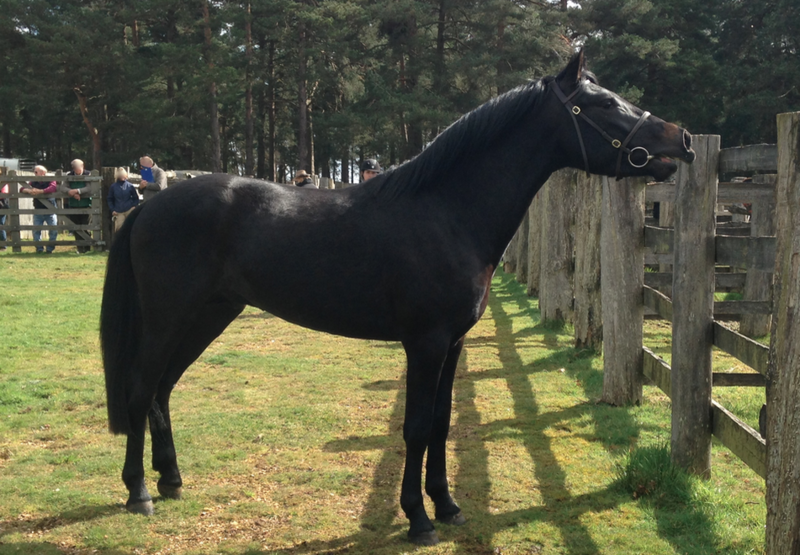 This entry was posted in New Forest, New Forest pony and tagged breed, breeding, colt, Commoner, foal, inspection, mare, New forest, NFCDA, NFPB&CS, Open Forest, pony, sire, stallion, stud, Verderer. Bookmark the permalink.